In the past few weeks, news sources have consistently tossed around the term “net neutrality,” and they have been advocating for its importance. However, there seems to be one slight issue — very few people actually understand what net neutrality is, let alone how to adequately protect it. Here are the main things you need to know about the fight for net neutrality. Net neutrality protects websites and companies from being discriminated by internet service providers. It prevents service providers from encouraging customer usage of one site by sabotaging another with slower service or other connectivity issues. Companies would otherwise be able to pay service providers to make services on their competitors’ sites slower. For example, without net neutrality laws, a company like Hulu could pay a service provider like Spectrum (formerly Time Warner) to make Netflix really slow, thus incentivizing viewers to use Hulu instead. Net neutrality essentially protects internet users from being unfairly manipulated and limited by companies. It ensures that all websites are treated fairly and equally by internet service providers. 2. How is it protected? Net neutrality began in the early 2000s with ideas about ‘network freedom.’ However, up until about 2015, network freedom was not clearly protected by specific legislation. Decisions about its regulation are made by an organization called the Federal Communications Commission (FCC). 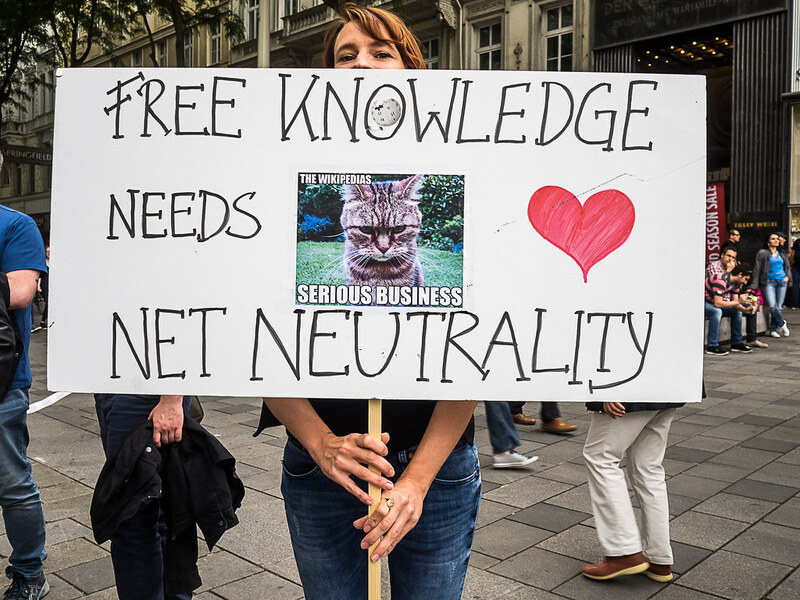 In 2015, the FCC made the decision to place net neutrality rules under Title II of the Communications Act of 1934, hence classifying net neutrality as a common carrier. In other words, net neutrality has since then become a public good available in the same quality to all those who use it. Without this classification, the internet is vulnerable to manipulative abuses by powerful and rich companies. 3. Why is it in danger? When President Donald Trump took office, he appointed a new chair for the FCC. His selection, former Verizon lawyer Ajit Pai, is a strong advocate against protecting neutrality through the Title II classification. He believes that these rules are overkill and that net neutrality would be sufficiently protected without them. The proposed change would ask that internet service providers commit to the concept of net neutrality voluntarily, almost like a pledge. However, as we’ve learned, we can’t exactly trust large corporations to operate on an honor system when there's so much money at stake for them. Pai has called for an FCC vote, which is scheduled on Dec. 14, to decide whether the current regulations should be maintained or scaled back. Barring sufficient public outcry, the changes are likely to pass — which is why news outlets have been so focused on net neutrality. 4. What are the implications? Without net neutrality, there's the potential for a very slippery slope. Wealthy companies could even go so far as to sabotaging news sites that run stories contrary to their beliefs or against their favored candidates. The free internet we are all so accustomed to could very easily become a thing of the past. In order to ensure we all have unbiased access to whatever legal sites we desire, we must protect net neutrality rulings as they are now. Without it, even sites like Her Campus could be sabotaged if larger sites were to pay service providers to slow its service. If you get the chance, please stand up for net neutrality! It’s something we will all miss far more than we realize if it goes away. What Happens When the Net Isn’t Neutral?